Given recent trends, it would appear the future of gaming is the past! Nintendo, PlayStation and SEGA are all bringing in the nostalgia with their lines of rejigged consoles of yesteryear, in mini form, to bring us back to the good old days. What’s still to come? We look at the retro games consoles set to make a comeback. The original PlayStation console hit European waters 23 years ago and disrupted the gaming market as a whole. It was a fifth-generation console; its direct competition was the Nintendo 64 and SEGA Saturn. Its look may look dated now, but the boxy grey console was iconic – and luckily for us, the Classic reboot will be a miniature! The original was the first computer entertainment platform to ship 100 million units, which took more than nine years. The Classic is due for release on December 3, just in time for Christmas and 24 years to the day since the PlayStation was released in Japan. The console will come pre-loaded with 20 games meaning hours upon hours of nostalgic fun. These include huge names like Metal Gear Solid, Grand Theft Auto, Tekken 3 and Final Fantasy VII. Unfortunately, Crash Bandicoot won’t be making an appearance on the revamped PlayStation – more than likely as he’s been remade for PlayStation 4. Following the huge successes of the NES Mini and SNES Mini remakes that created stock issues due to huge demand, it would appear the next console in the works is in fact the Nintendo 64. Although it was released in Japan in June 1996, it wouldn’t reach Europe until nine months later. Nintendo have applied for a N64 trademark in Japan which would cover the program, the controller and gearstick. Having released the NES Mini and SNES Mini in December 2016 and September 2017 respectively, it would be unlikely this trend is going to continue – Nintendo would need enough time to truly plan for the incoming demand! 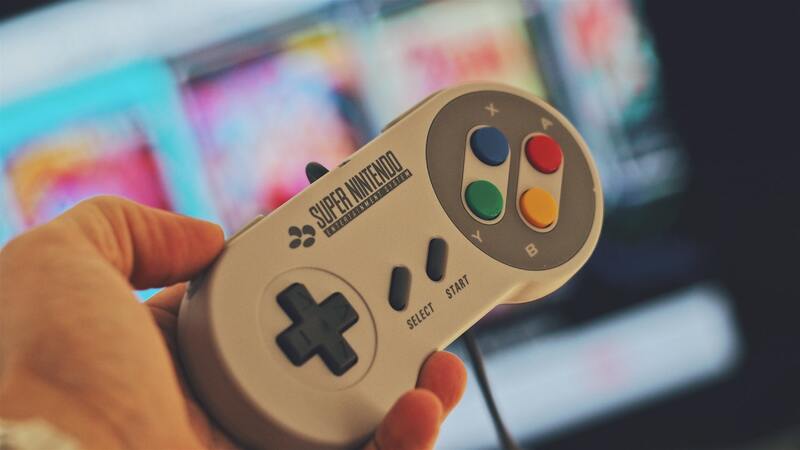 The Nintendo 64 may not have had the same successes as its predecessors upon first release but with the clear appetite for retro gaming, it has the potential to be just as successful – provided the right games are made available. The biggest calls will no doubt be for titles such as Donkey Kong 64, Banjo Kazooie and the critically acclaimed GoldenEye 007. There are potential issues surrounding licencing but if that’s ironed out, there’s no reason why this couldn’t be the most successful Mini console yet. The SNES and NES Classic Mini have surpassed 10 million combined global sales. Retro gaming will be taken to the next level in 2019 as the Atari 2600 will be brought back more than 40 years after its original release. The Atari update was announced in 2017 during E3 under the moniker ‘Ataribox’ with a brief look at the console but without any of the technical specifications. Pre-orders were reinstated in May this year, with shipping expected mid-2019 for the console named the Atari VCS. There is an authentic wood-veneer panelled console dubbed the ‘Collector’s Edition’ model which gives the true Atari feel but the console itself will only be around half the size. A joystick can be used for full nostalgia or an updated controller is available. Within the first day of pre-order, the Atari VCS saw more than $2.25 million in orders, massively outweighing the expected $100,000 they had sought to begin production. SEGA are too joining the retro gaming ranks, with the release of a miniature version of the legendary SEGA Mega Drive. The original console was released in Japan 30 years ago, before becoming available almost 24 months later in Europe and Australia. The release of the Mini was meant to coincide with this huge anniversary but unfortunately, this was not meant to be. SEGA have confirmed the release of the console has been pushed back from 2018 to 2019 to ensure full customer satisfaction due to the increased interest surrounding the console. The design is being reviewed in this delay and it would appear the developer is, too. From their official Twitter account, SEGA stated they will be working with a domestic Japanese software developer which has a proven track record. This seemingly confirms they are moving away from AtGames, who have produced the Atari Flashback series and were behind the Mega Drive Ultimate Portable Game Player. The latter was panned upon release for its audio quality, outdated design and difficult D-Pad. With the potential the retro gaming market holds, it only makes sense that SEGA take their time to do this reboot right. If they pull it off, the returns could be huge. If you use a Nintendo Switch and can’t wait for the revamped SEGA Mega Drive to be released, the SEGA Mega Drive Collection is due for release on Switch. More than 50 titles are available which had to include Sonic the Hedgehog, and is also available for PS4 and Xbox One. Are you ready to dig into the world of retro gaming? Why not trade in your consoles to fund the PlayStation Classic or any other great retro console? Get a quote in seconds with musicMagpie and shipping is completely FREE!